Orangebox designer Phil Hallett talks about the design process behind the Eva chair and how the challenge of becoming a more environmentally considerate manufacturer is shaping future design thinking. Designers chart the course of a product’s life cycle the second they put pen to paper, which is why they are more aware than ever that they are responsible for ensuring that their products do not cause unnecessary harm to our natural environment. They should be committed to becoming an integrated part of the circular economy with an open and honest attitude toward the challenges they face. They may come across some tricky decisions and choices along the way, and often need to make some compromises. Hallett believes that Orangebox’s evolving philosophy is best shown through its products, and the engaging story behind the Eva chair perfectly describes the way the company thinks about design, material, function and sustainability. Orangebox was born in the summer of 2002. From the outset, its powerful focus on innovation gave it a compelling point of difference, enabling the company to create products that responded to the changing world of work, and helping clients create more agile, collaborative and productive workplaces. Continuous research and innovation remains at the heart of its business. 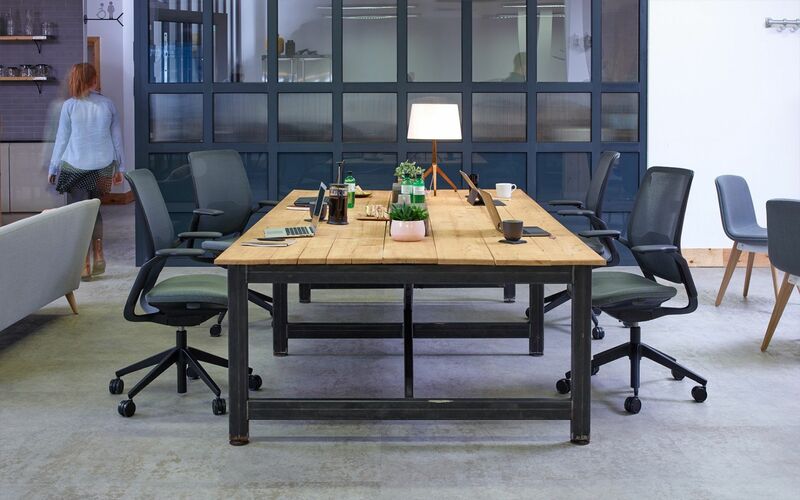 Its ever-increasing portfolio of furniture, Smartworking®, is developed expressly to help create great collaborative workspaces. Task Seating, meanwhile, is dedicated to perfecting the task chair to reflect changing demographics, tasks and workplaces, while improving ease of use, range of functions and sustainability. In that time, Phil has designed an eclectic mix of products showcasing an elegant simplicity to everything from cafeteria seating and upholstered furniture to Orangebox’s most recent task chair, Eva. With a passion for creating long lasting, sustainably designed products, Phil and the design team continuously look to strengthen Orangebox's position as a leader in environmentally considerate product design and manufacture. Now a 400-strong company, Orangebox is recognised as one of the UK’s most innovative manufacturers, and its market-leading office furniture is in demand around the world. Phil Hallett studied Product Design at the University of Glamorgan and joined Orangebox (then Giroflex) in 2000 where he joined the fast-growing internal design team that has become instrumental in Orangebox’s success.